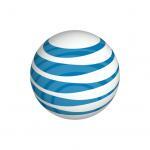 AT&T has discontinued 2G wireless service starting Jan. 1, 2017, company announced in a blog this week. Company had announced plan to shut down the 2G network 4 years ago. 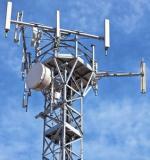 South Korea's operator SK Telecom has successfully commercialized 2G and 3G services through LTE network. Named ‘2G/3G over LTE,’ the technology enhances the stability of 2G/3G mobile networks by utilizing LTE network as backhaul instead of fixed-line 2G/3G infrastructure. AT&T has signed an agreement with Grupo Salinas to acquire Mexican wireless company Iusacell for US$2.5 billion, inclusive of Iusacell debt. One of the major issues limiting LTE roaming rollout is the need to negotiate and test a new LTE roaming agreement with each roaming partner. Alcatel-Lucent has announced the results of an independent research study which found that its commercially deployed Voice-over-LTE (VoLTE) technology provides better service than 3G Circuit Switched (CS) voice and Internet calling services and Skype software. Turkcell, Ericsson and Qualcomm have successfully demoed the live 3-Carrier High-Speed Downlink Packet Access (3C-HSDPA) on a commercial network. The test utilized a feature that will be included in Ericsson's software release 15A and was conducted on a smartphone powered by a Qualcomm processor with its integrated Qualcommmodem. THAILAND, June 16, 2014 – Tektronix Communications today announced that it has been selected as the provider of monitoring & assurance solutions to optimize network performance and quality for Thailand’s market-leading operator, AIS. Singapore– June 3, 2014 – Cellwize, the innovative Self-Optimizing Network (SON) solutions provider, today announced that it is the first to offer a Network Functions Virtualized (NFV)-ready SON solution, that’s multi-technology and fully multi-vendor compliant.